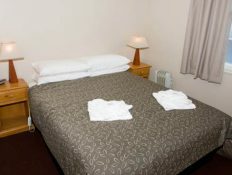 Alpine Hotel Cooma - Part of the LDM Group. Turning under performers into over achievers. 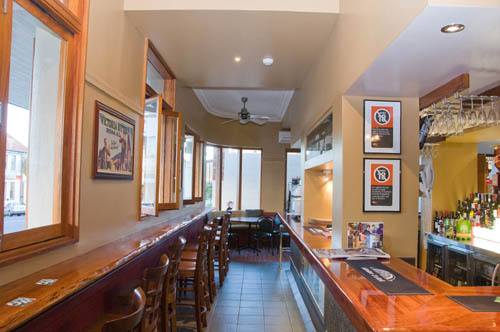 A PUB WITH NO FEARS. 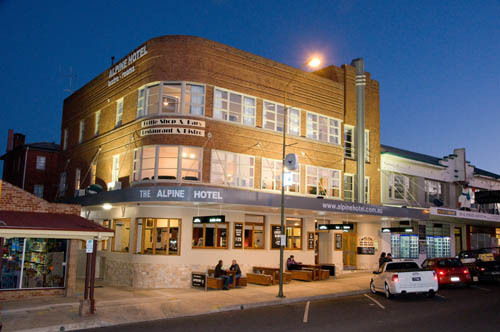 The Alpine Hotel Cooma is an iconic pub with a proud history. When the LDM Group acquired the hotel from the receivers, it’s profits were history as well. 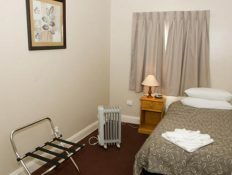 The Hotel had been neglected both physically and financially. 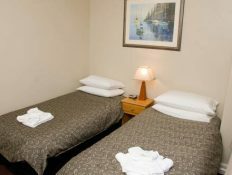 Turnover was modest, the rooms were in need of refurbishment and occupancy rates were very low, especially for a hotel on a frequently traveled tourist highway. 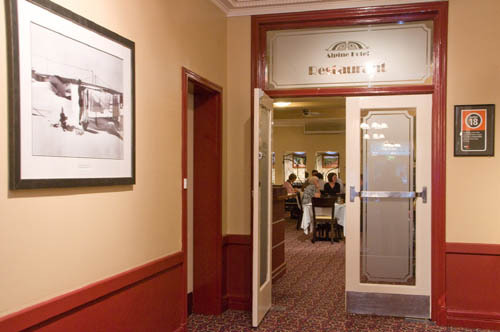 The LDM Group transformed this historic establishment. 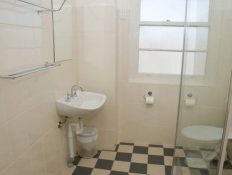 It was restored to retain a contemporary charm and profits quickly increased to impressive levels. In 2017 the Hotel was sold to Lessees Michael and Kris Sharkey in 2017. 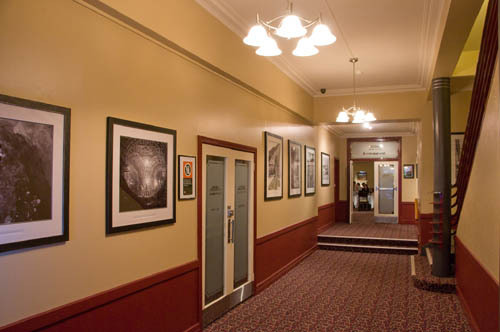 The object of the refurbishment was to retain the charm and character of the original hotel, faithfully restoring its unique art deco design and architectural features, whilst instilling modern fittings and embellishments where appropriate. In addition, the owners wanted to comply with the BCA which posed a further challenge. 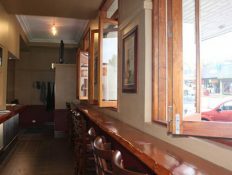 The refurbishment project involved a comprehensive top to bottom renovation both inside and outside to not only improve the quality of the building itself but to enhance the ambience of its bars, accommodation areas, restaurant and function rooms. 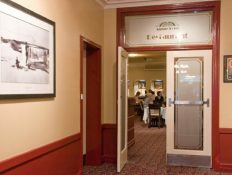 Exterior improvements include new outdoor furniture, rebuilding and repositioning of the main entranceways, a new stone facade, new timber doors and bi-fold timber windows, a rear courtyard area from the main function room and overall complemented by professional signwriting and new lighting. 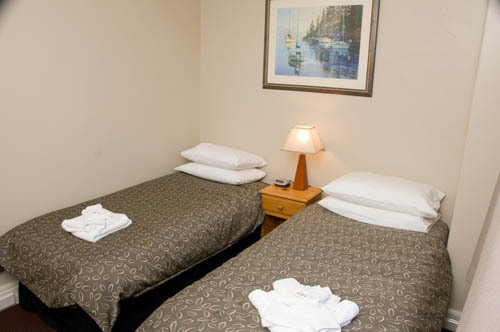 The hotel was completely repainted and new custom-designed carpet laid throughout. 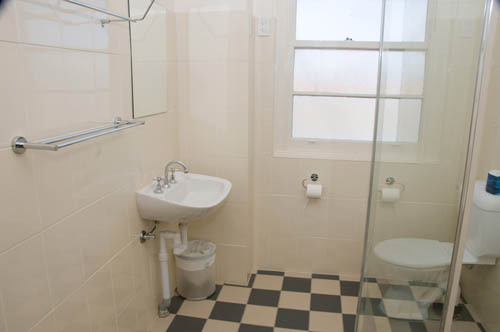 An important focus of the refurbishment was the kitchen which has been redesigned with a more user friendly layout and new appliances installed to allow the efficient preparation of contemporary cuisine. 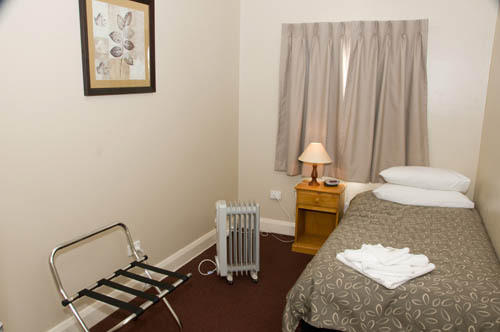 For greater comfort of guests, an enclosed smokers’ area has been set aside in the games room. 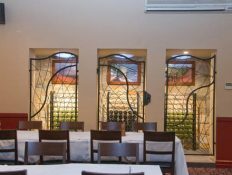 For enhanced operational efficiency, an integrated point-of-sale cash register and stock management system has been employed, a C02 detection system was installed in the cellar as has a multi-camera recorded video surveillance system. MORE CHEFS IN THE KITCHEN. 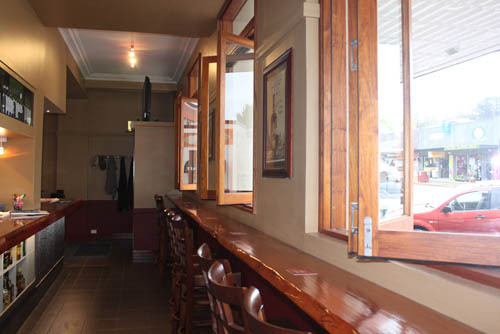 To ensure all staff members have the tools to ply their craft, the kitchen and bar facilities were completely upgraded. 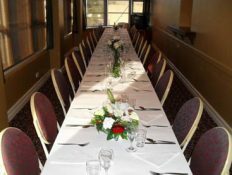 Rather than employing menial cooks, The Alpine Hotel has hired qualified chefs including the head chef who has served at a major five star resort in the region. 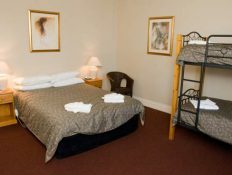 Significantly, the appeal of the hotel is now 50/50 male and female, improving the overall ambience and making a night at the Alpine more of an occasion. 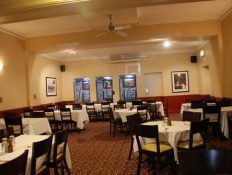 Rather than trim costs to improve the hotel’s viability as a business, the overriding mission has been to provide a better quality of food and deliver a superior dining experience. At the same time cost control is vital, as undermanaged kitchens can easily leak profits through food wastage by poor storage, serving and preparation. Look after the cents and the dollars will take care of themselves. Measures like portion controlled steaks allow consistency, while improved food storage practices have helped reduce wastage. 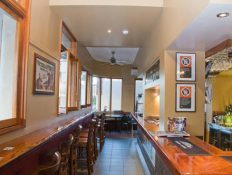 Additions to the menu from bruscetta to fresh seafood add flair and finesse, while fine Australian wines have been sourced which offer superior drinking and surprisingly, better value. 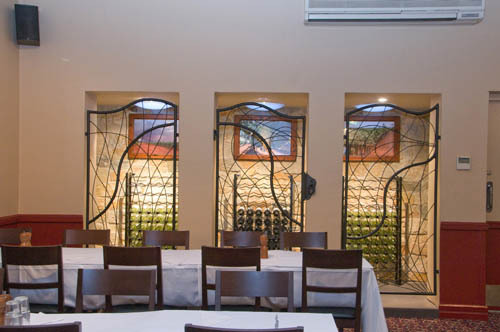 The menu is regularly refreshed and represented with each change of season. A loyalty program has been introduced, rewarding repeat diners and building turnover. 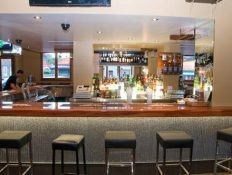 The family appeal of The Alpine Hotel has also improved with it now attracted a more discerning customer base from within the local community and from those visiting the Monaro region. 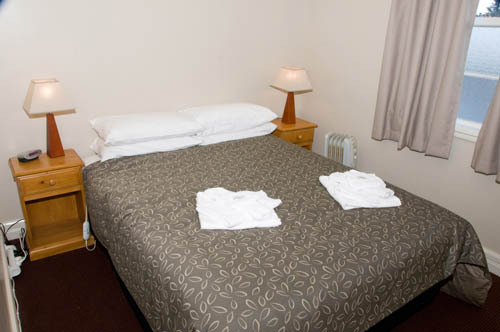 As for accommodation, the Alpine Hotel must appeal to diverse markets. During winter, there’s the ski traffic enroute to the ski fields of the Snowy Mountains. In summer, it’s families and general tourists, while year round there has been a regular influx of mature motorcycle and car club members. 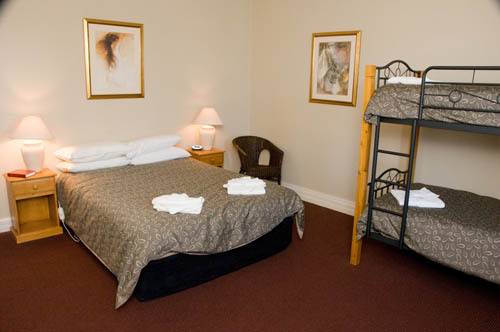 So all the rooms were extensively refurbished with new linen, mattresses, electric blankets, side tables and lamps resulting in improved comfort while providing a quality of service which is unsurpassed in the region. 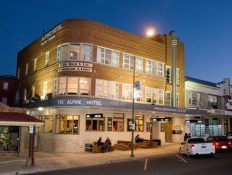 Customer numbers have steadily improved and continue to do so as word of the Alpine Hotel’s revitalised status is spreading. Such popularity is reflected not only in the accounts, but in the steady stream of compliments staff receive every day. 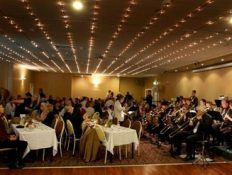 The calibre of live entertainment has also been lifted as top name musical and comedy acts regularly entertain guests, further enhancing the iconic status of the hotel. 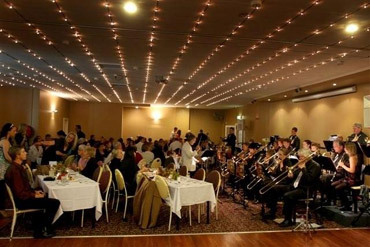 In addition, there is a function virtually every week in the function room, attracting not only large family events, but corporate functions, trade conferences and major community occasions. Any business lives and dies on its people. 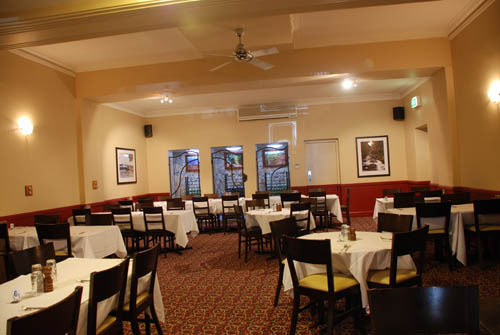 The true strength of the Alpine Hotel is the staff who are now highly motivated and deeply committed to their roles. They take pride in their achievements on a day to day basis. and have been fiercely loyal to the hotel which staff turnover virtually non-existent. So while the physical refurbishment has merely set the stage, the true transformation is occurring as the staff complete the picture to serve and entertain guests. The Lee Dillon Group invites proposals from organisations with hotel assets who wish to restore these businesses back to commercial viability. This is a unique opportunity to leverage our experience and principles to generate wealth and make viable businesses, which may currently be underperforming or failing to realise their potential and come alive again. 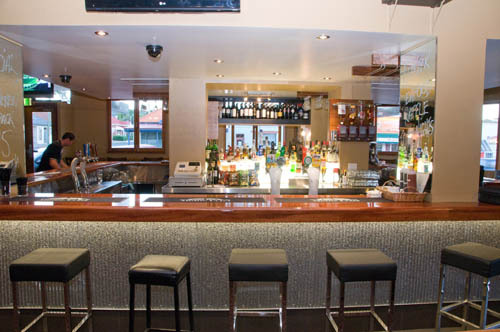 LDM Group :: Pubs | Property | People © 2019. All Rights Reserved.